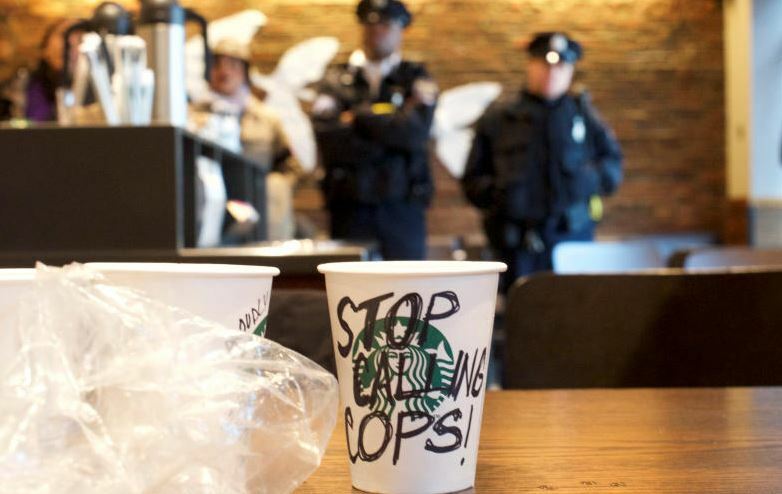 NEW YORK - Two black men arrested in Starbucks have reached settlements with the US coffee chain and the city of Philadelphia, which will endow a US$200,000 (S$260,000) fund to help young entrepreneurs, officials said on Wednesday (May 2). 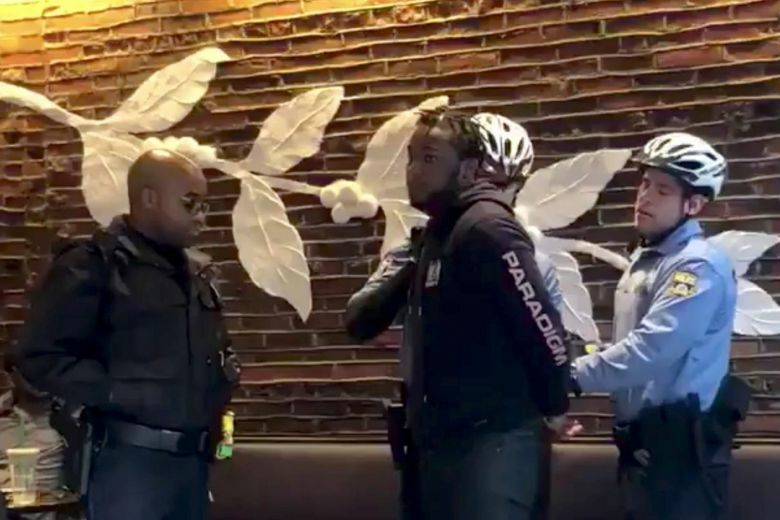 Rashon Nelson and Donte Robinson were arrested in Philadelphia on Apr 12, sparking international outrage, protests at Starbucks outlets and anguished soul-searching about America's lingering problems of racial discrimination. The mayor's office said Nelson and Robinson had agreed not to sue the city, in exchange for US$1 each and the city's agreement to grant US$200,000 to a pilot programme for public high school students who want to become entrepreneurs. "We thought long and hard about it and we feel like this is the best way to see that change that we want to see," Robinson said, according to an Associated Press report. "It's not a right-now thing that's good for right now, but I feel like we will see the true change over time." Screengrab of a video posted by a Starbucks client showing several uniformed police officers handcuffing the two men and leading them out of the store. "I am pleased to have resolved the potential claims against the city in this productive manner," said Philadelphia Mayor Jim Kenney. "I look forward to seeing the fruits of this effort in the coming months and years," he added. Starbucks also reached agreement with Robinson and Nelson this week, the company announced on Wednesday. That deal "will include a financial settlement as well as continued listening and dialogue ... and specific action and opportunity," it added. Starbucks has sought to repair damage to its image by apologising and ordering all its stores and corporate offices across the United States to close for an afternoon on May 29 to conduct "racial-bias education." Philadelphia's police chief Richard Ross, who is himself African American, also publicly apologised, admitting he "failed miserably" with his initial response. Ross was widely criticised after he initially said his "officers did absolutely nothing wrong" during the arrests which followed a 911 call from a Starbucks worker who said the men were trespassing after refusing to buy anything. Police said officers "politely" asked Nelson and Robinson to leave before arresting them. They reportedly asked first to use the bathroom, but were told it was only for paying customers. A video, which went viral after being posted on social media by a customer, showed uniformed police officers questioning and then handcuffing the pair despite their offering no resistance. The two men's lawyer Lauren Wimmer has told a CBS affiliate in Philadelphia that they had been waiting for a third man to arrive for a business meeting.